MIDLAND, Mich. - Fans spoke, we listened. Outside of not having enough time in their daily schedules to come to a game (and we think you'd be impressed if you carve out just three hours during one night next summer), the top thing they told us would inspire them to come to a Great Lakes Loons game in the future: specials, deals, discounts. 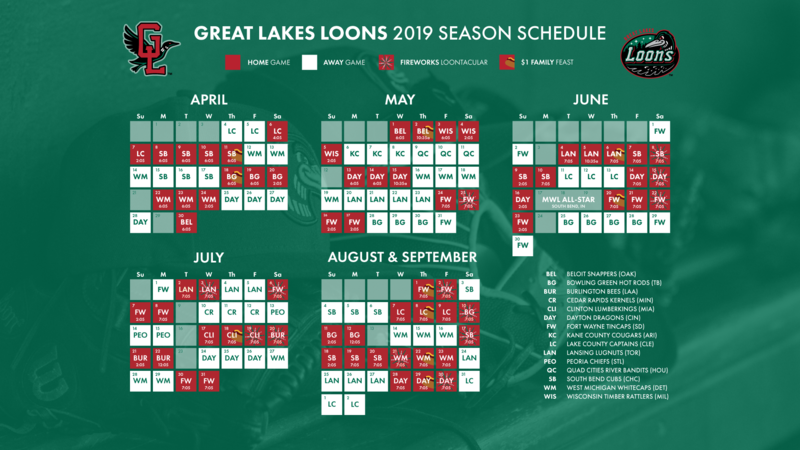 As part of our fresh look at each day of the week during the Loons home schedule, we're bringing you a brand new idea, while also bringing back one of the top five promotions from last year, according to the fans. 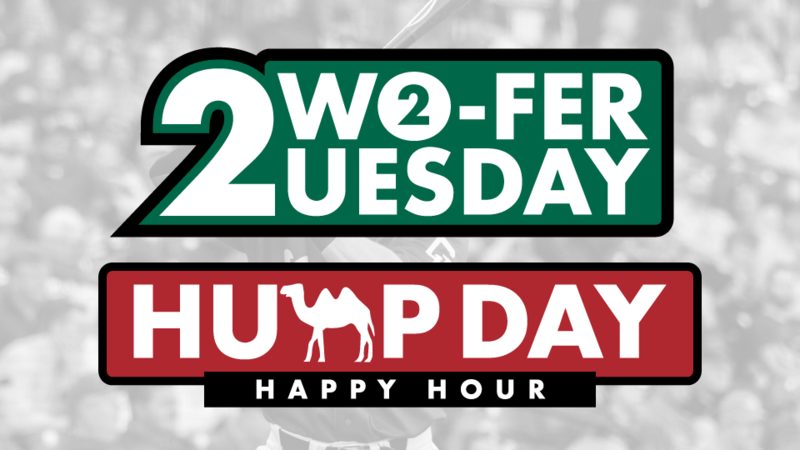 Two-fer Tuesdays is something for the 2019 season that we've never done before. Varying ballpark food offerings and retail merchandise will have their own specials. From week to week, those items will rotate throughout the seven Tuesdays; a new deal each time. There are endless options and combinations. Get used to hearing the phrase "buy one, get one for…" or "two for the price of…" around the stadium. Just to give you an idea, these all could potentially be involved in a "two-fer" offering on a Tuesday: soda, burgers, nachos, pretzels, candy, popcorn, hats, t-shirts, jerseys, scarves, sweatshirts, funnel cake, Dippin' Dots, wraps, Italian sausage… and that's just some of what you could see. Remember how sweet Great Lakes Camels night was? Remember how the hats and t-shirts sold out? Remember how exciting that walk-off was? Don't worry, we didn't forget. 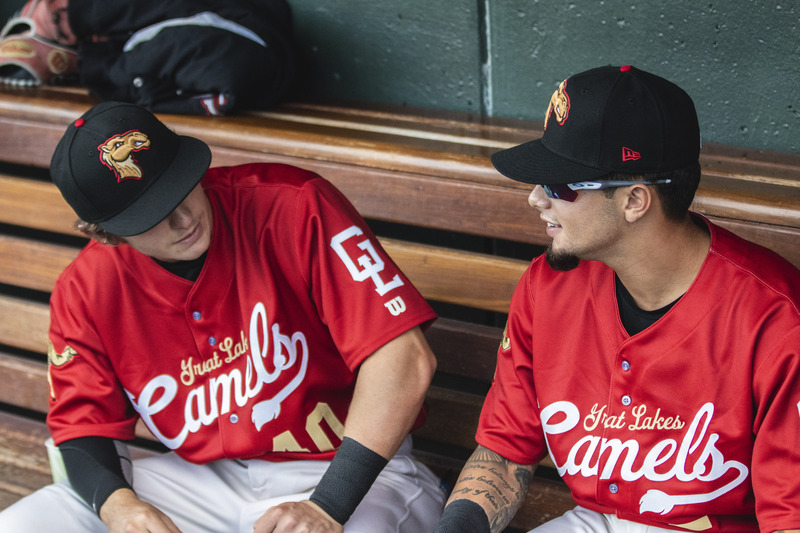 The Loons will transform into the Camels for 10 Wednesday home games in 2019; each one except for July 3rd. Keep your eyes peeled for other Camels news as we get closer to Opening Day. Thank you to all the Loons fans that gave us their feedback during our survey after last season. We heard you loud and clear. Single-game tickets for the 2019 season go on sale March 4th. Season ticket packages and mini-plans are on sale now.